Our PolyExpress™ Premium package includes protein antigen production, the best choice for high quality antibody production. PolyExpress™ Premium or Premium Plus also guarantee delivery of antigen affinity-purified antibody 4 weeks faster than any other vendor. PolyExpress™ Basic, Silver, and Gold packages for custom polyclonal antibody production start with peptide antigen design using our proprietary OptimumAntigen™ design tool and finish with affinity purified polyclonal antibodies. PolyExpress™ peptide immunization services deliver custom rabbit polyclonal antibodies from sequence to antibody in just 45 days. 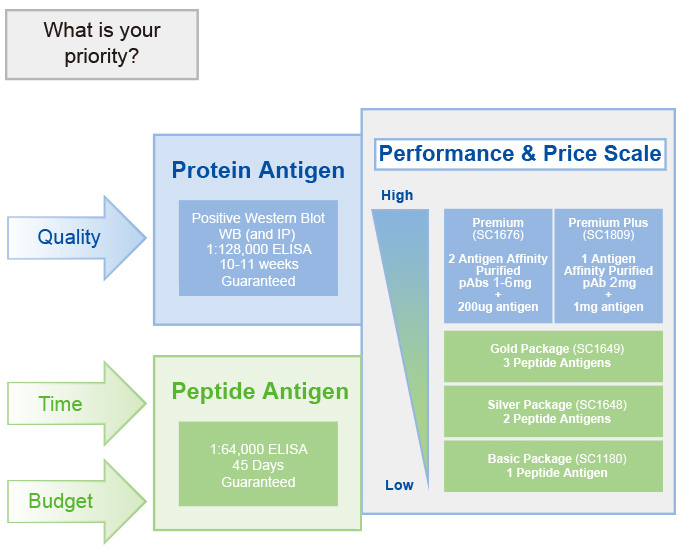 * Silver and Gold packages only apply to a single target protein sequence. Cannot be combined from different protein targets. **Protein may be full length or a protein fragment ≥ 10 KD depending on which is more likely to generate a successful antibody. ***During the development of the antibody, if there is the death of the experimental animal, we will choose the adjusted immunization process for re-immunization to ensure the high quality and efficiency of the order. Average affinity and specific recognition. Ability to use same pAb as both capture and detection. Capitalizing on our time-tested experience and proprietary technologies, GenScript offers guaranteed custom polyclonal antibody services with proven success rates. 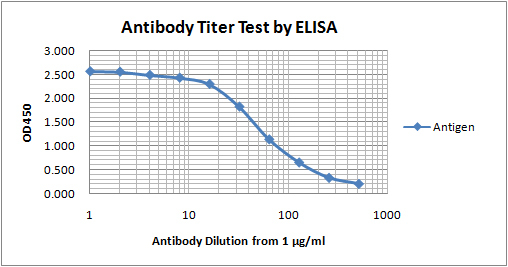 A proprietary immunization adjuvant elicits a stronger and faster cellular immune response with longer immune sustainability, making the production of high-titer, high affinity custom antibodies possible. DNA immunization: a powerful tool for challenging targets such as membrane proteins, toxic and unstable antigens. MonoExpress™ mAb Production Service high quality, purified monoclonal antibodies guaranteed to work in your application.